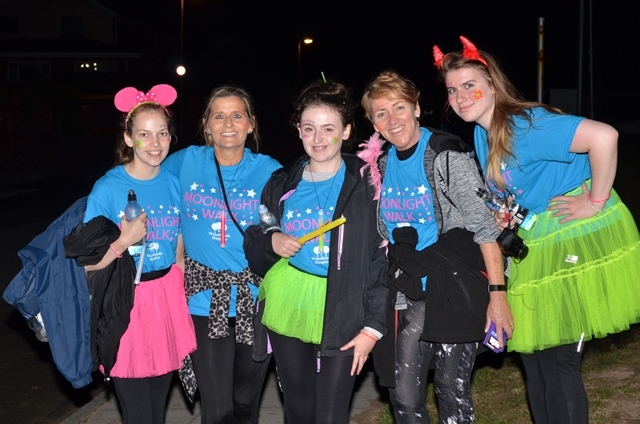 More than 120 people joined Woodlands Hospice for its annual Moonlight Walk to complete either a 5k or a 10k lap around Crosby, to help raise much needed funds for the Hospice. The event took place at 9pm on Friday 7th July and started off at Waterloo Rugby Club, where our walkers received their T-Shirts and completed a warm up routine with West Derby based gym Exclusive Fitness. Walkers were also encouraged to dress up with some fun props, glow sticks and face painting on offer before they began. After the warm-up, Woodlands Hospices’ Chief Executive, Rose Milnes, welcomed the walkers and delivered a motivational speech before sending them on their way. 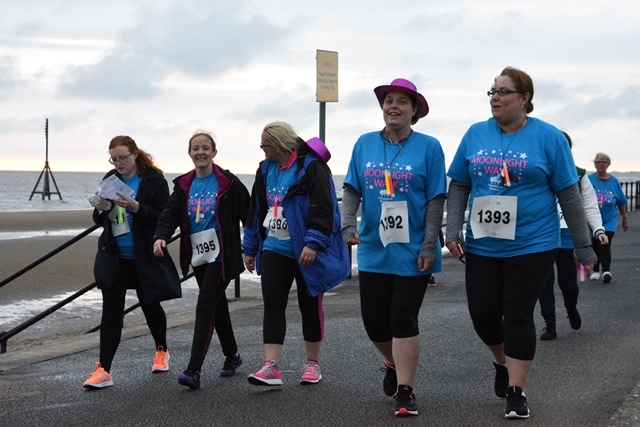 The route included a scenic walk along Crosby beach, past Anthony Gormley’s ‘Another Place’ Iron Man sculptures, as well as a Clubbercise station with instructors Jo & Megan for those who really wanted to push themselves to the limit! Dressed for the occasion! A group of Moonlight Walkers got into the Neon spirit! Spirits were high throughout the 5K and 10K laps, with all the walkers getting involved in the fun along the way! Once the laps were completed, everyone was rewarded with their own Moonlight Walk Medal. So far, the event has raised more than £4500, with sponsorships still being collected. Walkers have until Friday 25th August to raise sponsorship and deliver this to the Hospice. Once all of the final totals have been collated following this, any walkers who have raised more than £100 will receive vouchers for Yaffe Photography worth more than £240 for a photoshoot and 1 image. Proud Walkers with their Moonlight Walk Medals! 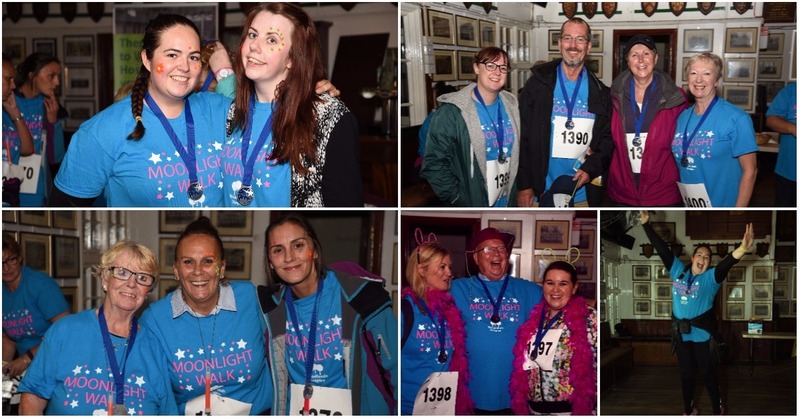 Events such as the Moonlight Walk hugely contribute to the Hospice’s fundraising goals and help to ensure we continue providing the high level of service and care to our patients and their families. The Hospice would like to thank all those who took part and raised money and say a massive well done to all our walkers for completing the challenge!